Scholarships are available for you when you study abroad. Some require applications, some do not. You’ll be notified directly from those with no application. 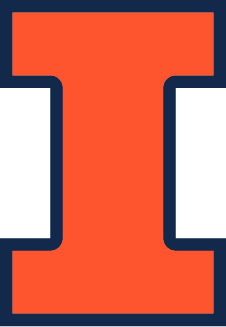 IPENG offers a $2,000 scholarship to newly admitted engineering freshmen who plan on studying abroad during their academic career at the University of Illinois. Watch for an email in early spring, after admission notices have been sent out by the College of Engineering, notifying qualified students about this scholarship and the application procedures. To date, over 2,500 students have received this scholarship. It is never too early to start planning your international experience. Morrill Engineering Program students who are studying abroad. Engineering students participating in an IPENG program to Argentina, Brazil, or Chile and Engineering freshmen IPENG Uruguay program. Mechanical Engineering and Engineering Mechanics students, who are US Citizens, studying for at least a semester in: Austria, China, Denmark, Germany, Hong Kong, Italy, Japan, Netherlands, Norway, Singapore, South Korea, Sweden, Switzerland, and Taiwan. Independent work and independent study programs must be engineering-related and a minimum of 4 weeks. Verification required. For U.S. citizens receiving a federal Pell Grant. Countries with travel warnings ineligible. For additional study abroad scholarships, please refer to the Illinois Abroad & Global Exchange.